Vietnam Real Estate – As Vietnam is facing a number of difficulties and challenges due to high inflation and import surplus, it is important and necessary to research how to use capital effectively to ensure infrastructure development. To achieve the target of becoming an industrialised and modernised country in the first 20 years of the 21st century, Vietnam must completely revamp its infrastructure. Doing this requires huge resources, including State funds and capital from individuals in the country and overseas as well as close co-ordination between the State and individuals in developing the nation’s infrastructure in general and the transport infrastructure in particular. The issue was discussed at a seminar on co-operation between the State and individuals in Vietnam held by the Ministry of Planning and Investment (MoPI) and the World Bank (WB) in Hanoi on June 25. Reports at the seminar said that to cope with the difficulties and challenges caused by inflation and price rises, Vietnam must devise measures to use capital effectively and to ensure infrastructure development in a large scale in order to achieve high and sustainable growth in next years. Over the past years, significant progress has been made in infrastructure development, especially in transportation. However, since the transport infrastructure was in such a poor state at the start it still remains limited despite great efforts by the Government and businesses. Vietnam mainly uses the State budget, official development assistance (ODA), government bonds and project bonds guaranteed by the Government to invest in upgrading its transport infrastructure. According to a report on Vietnam Development 2007 from the WB, Vietnam’s annual investment in infrastructure accounts for 9-10 percent of the GDP (the highest rate compared to international standards). However, both the WB and the Asian Development Bank said that to maintain the current growth rate, Vietnam should raise investment in infrastructure to 11-12 percent of its GDP. Deputy Minister of Planning and Investment Nguyen Bich Dat said that investment in infrastructure development must be twice as much as in economic growth if not things will be held back. To realize its goal to become a developed industrial country by 2020, Vietnam has to build a comprehensive and modern infrastructure system. In the 2007-2008 period, the country will need about US$30 billion for infrastructure development annually. At present, nearly 40 percent of the total investment in infrastructure development is granted by international capital sources, while only 15 percent comes from the private sector. Regarding the demand for capital investment in improving the traffic network till 2020, each year Vietnam needs VND117,744 billion (roughly US$7.4 billion), while its current capacity to meet such demand is estimated at US$2-3 billion, mostly contributed by the State budget, ODA and Government bonds. This can only meet 20-30 percent of the total demand, according to the Bank for Investment and Development of Vietnam (BIDV). BIDV Deputy General Director, Nguyen Khac Than, said that the encouragement of the private sector’s investment in infrastructure development will prove effective thanks to its strict capital management which is more flexible than the State’s investment incentive policy. The participation of the private sector in infrastructure development will contribute to combating corruption and wastefulness, he added. Mr Than also quoted assessments by the World Bank (WB), the Asia Development Bank (ABD) and the Japan Bank for International Cooperation (JBIC) as saying that Vietnam has a good legal framework and incentive policies, and that private businesses will perform better than service providers in the public sector. It is essential to encourage the private sector’s investment via Build-Operate-Transfer (BOT) or direct capital contributions. However, he said this type of investment should have a specific long-term plan, and there should be a close link between the State and the private sector. According to Tong Quoc Dat, deputy head of the Urban and Infrastructure Development Department under the Ministry of Planning and Investment, the research on the implementation of a cooperation model between the State and the private sector will help to complete the traffic infrastructure network, with a focus on developing key large-scale construction projects, promoting poverty reduction in rural areas and improving the urban traffic network. Pham Phan Dung from the Ministry of Finance said that to carry out the investment cooperation model in Vietnam, apart from learning from similar models in foreign countries, ministries and relevant agencies, including the Ministry of Planning and Investment, the Ministry of Transport, the Ministry of Construction and the Ministry of Finance, should conduct research on the feasibility of implementing a public investment cooperation model in Vietnam and creating good conditions for Public Private Partnership (PPP) projects. Mr Dung’s view was shared by Truong Tan Vien from the Ministry of Finance, who said that one important measure is to mobilize non-State capital investment by finalizing a legal framework, policies and institutions. The Government should have the necessary legal avenues to limit risk for investors, Mr Vien added. Encompassing a rich program of residential, recreation, park, retail and office towers, Thao Dien is a 21st century civic center. 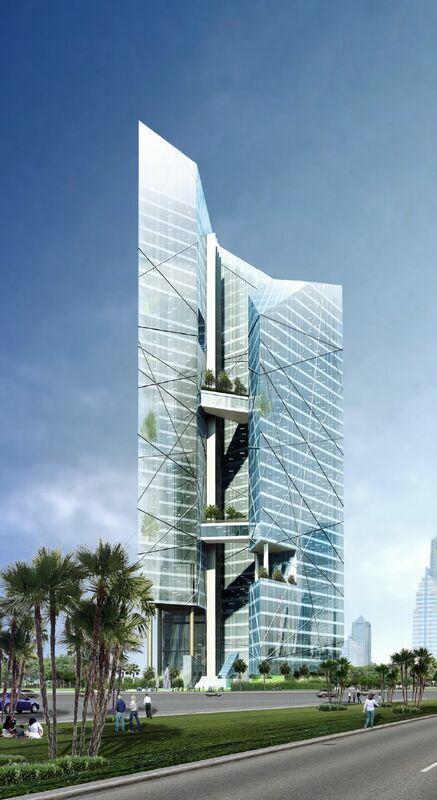 The project will provide a city scale anchor for entertainment, international business and high end residential. 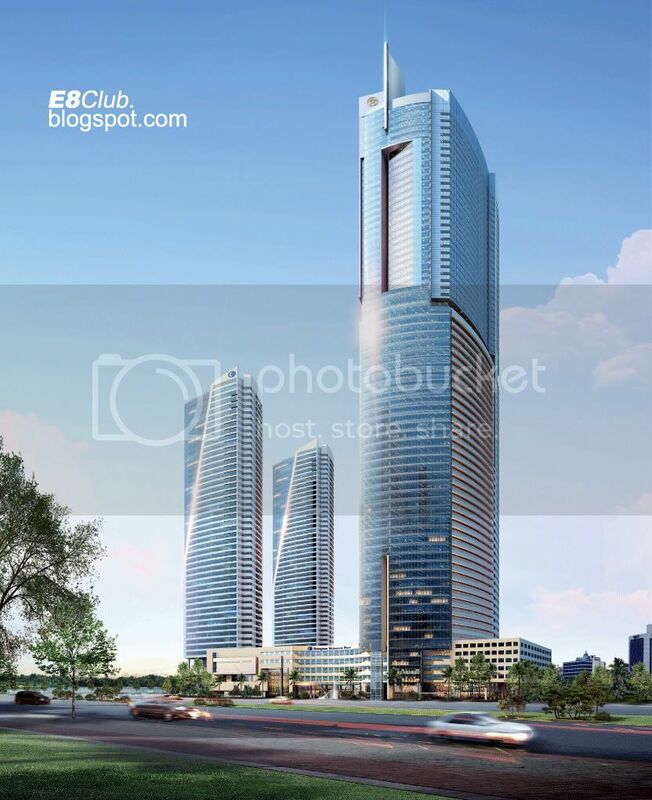 The site is strategically situated along the main highway connecting the east and west side of Ho Chi Minh City and the project includes a public facade along the highway with state of the art office towers, retail & entertainment facilities. Two sculptural office towers facing each other create a large scale city gate with a welcoming atmosphere for all visitors. A green park separates the commercial and public from the residential & private area and also acts as a sound buffer. Tying and uniting the towers & the commercial area is a city block long steel canopy which provides shade, public spaces and a strong architectural presence relating to the adjacent highway. The individual architectural solution for each function will ensure a rich architectural composition and a dynamic living and working environment. With internationally recognized architect Arata Isozaki & Associates (Japan) combined with the leading experts such as Turner International (USA), our projects reflect the highest international quality standards and innovations. Metropolis-Thao Dien is a world-class complex located at a short drive from downtown Saigon offering high quality residential apartments, landmark commercial offices, state-of-the-art retails shopping, cosmopolitan restaurants, plus a modern cinema complex and the latest technology entertainment centre – all in one central location. * Total area: 8 hectares. * Total built space: 600,000 m2. * Estimated construction cost: US$ 350 million. * Unique Green Park Landscape. 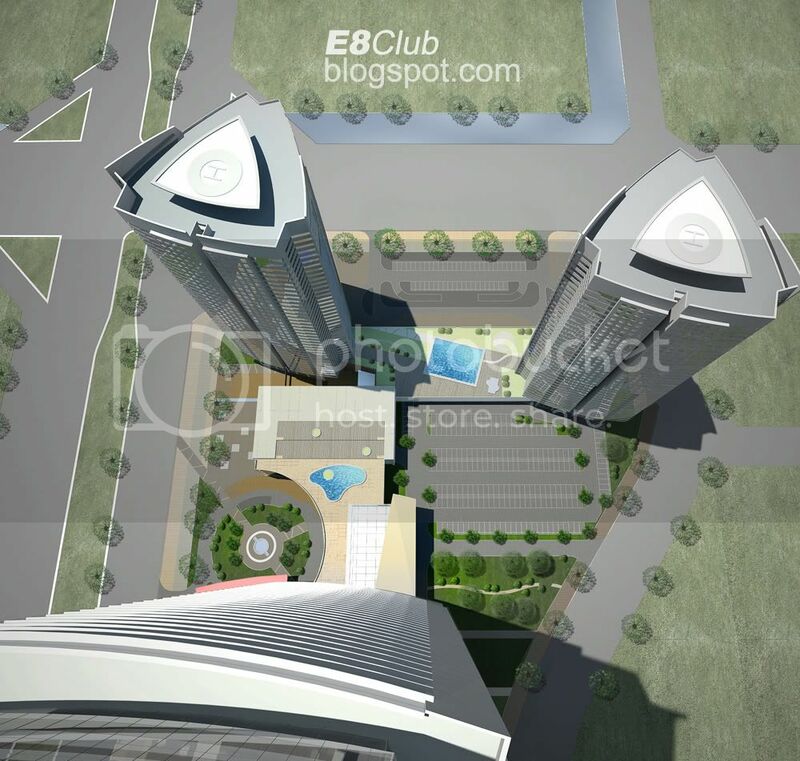 Vietnam Financial Center – Ky Hoa Lake – District 10 – HCMC. Berjaya Land Berhad of Malaysia is expected to obtain a license for a US$3.5 billion international university township in HCM City some time this month, said a source from the city’s department of planning and investment. 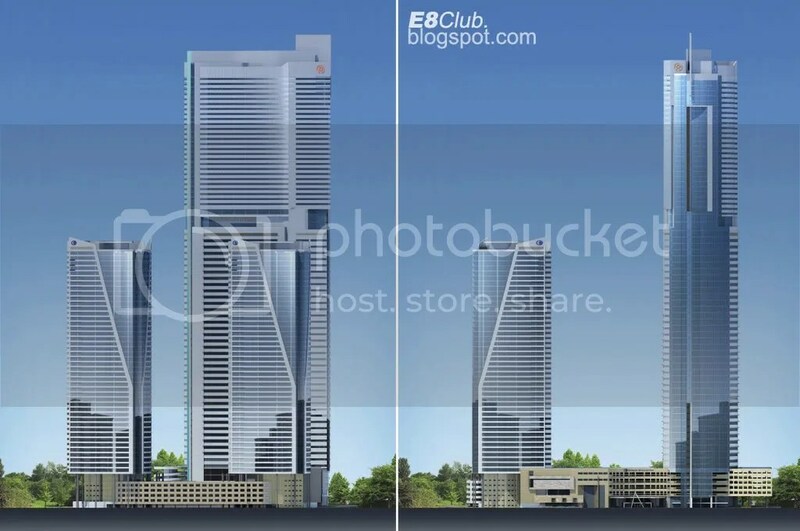 The company, which is already involved in some real estate projects in the country, has been pushing for the first such project in Vietnam since last year and has submitted it to the city government and relevant ministries. Francis Ng Sooi Lin, chief executive officer of Berjaya, in early August signed an agreement with Nguyen Van Thanh, chair of HCM City North-West Metropolitan Area Authority, to develop the Vietnam International University Township (VIUT). The township will cover 880 hectares in the Tay Bac (North-West) new urban area in the outlying district of Cu Chi, about 30 kilometres from the city’s downtown area. The city government will issue an investment certificate to Berjaya this month because it has received the green light from the central government and the ministries concerned, the source told the Daily yesterday. The source said this new project would send foreign direct investment approvals in the city in the first six months of the year soaring to around US$7.1 billion, 10 times higher than the same period of last year. The planned township comprises many commercial and civil components such as a town centre with offices, commercial blocks, hotels, and convention facilities, civic and administrative zones, and an international university campus. It will also have residential precincts, a river port, entertainment parks, open spaces, playing fields and sporting venues: according to Berjaya. There will be a variety of waterfront and riverfront housing. This project is planned for completion within 10 years. Berjaya Corporation, a leading Malaysian company listed on the Bursa Malaysia Stock Exchange, is active in financial services, consumer marketing, direct selling and retailing, travel, hotels and resort development and management, property investment, manufacturing and education. 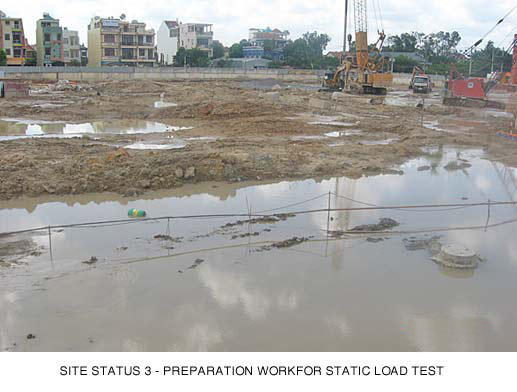 Property development and education are among the group’s core business. 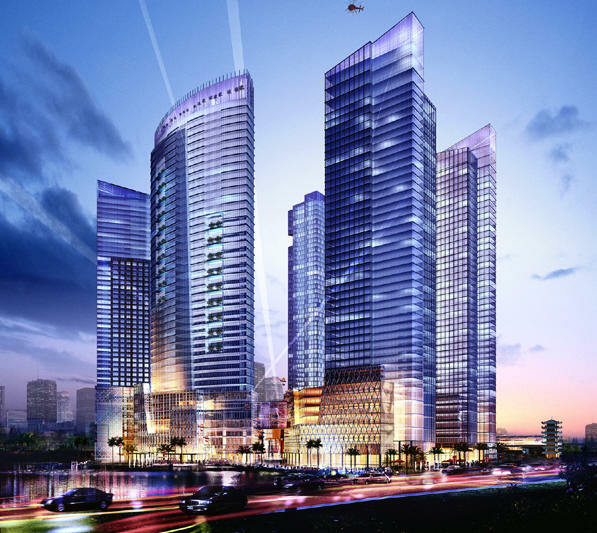 Berjaya earlier received an investment certificate for a project to build the Vietnam Financial Centre on Ba Thang Hai Street in District 10, HCM City. The 6.8-hectare centre valued at US$930 million will comprise six high-rise buildings. Construction work will start this year and be finished in 2013. Berjaya through its subsidiary Berjaya Leisure Cayman also gained an investment certificate to develop a complex in Dong Nai Province, including a five-star hotel, a high-end apartment, office building and commercial buildings, at a total cost of US$1 00 million. In Hanoi, Berjaya Land will develop a residential and commercial project called Thach Ban New City on 31.33 hectares in Long Bien District at an estimated cost of US$500 million. Prices of “golden” lands in Ha Noi’s Old Quarter remain exorbitant despite the recent freeze in the real estate market, said industry insiders. 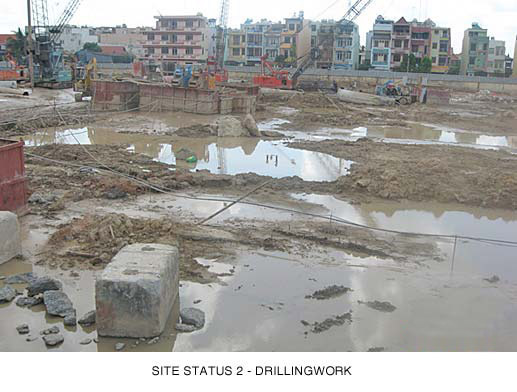 At a recent bid organized by the Ha Noi Natural Resources and Environment Department’s Ha Noi Housing Management and Development Company, a square metre of land of a house on 48 Hang Bong Street, Hoan Kiem District, was recorded at VND506 million (US$30,600). Similarly, a house on 120 Hang Bong Street is being advertised for sale for VND342 million ($20,700) per sq.m. A property broker in Ha Noi said that while real estate transactions nationwide were stagnant, investors are still interested in buying property in Old Quarter’s streets like Hang Ngang, Hang Dao, Hang Bong and Nha Tho or those along West Lake at prices of roughly VND450 million ($27,200). Land in streets like Ly Thuong Kiet, Tran Hung Dao and Phan Chu Trinh, known as “foreigners streets”, were advertising sales at roughly VND250 to 300 million per square metre while prices of properties in riversides of West River and Bay Mau River were fluctuating around VND150 to 200 million, said the broker. Brokers said interested investors were mainly overseas Vietnamese from European countries as well as locals who have made a lot of money in the stock market. Despite the high prices, potential buyers believe that the land is a sound investment, saying that they could sell it for even higher prices or rent it out. Besides the financial aspect of it, investors also believed that lands in the Old Quarter were the most valuable in the future because of their cultural value and irrespective of the capital’s expansion. General director of the real estate Century Group, Nguyen Trung Vu, argued that the expansion of the capital would not affect the high demand for land in the Old Quarter. No new land can replace the favoured ones in the inner city, said Vu. However, brokers said that for land to be truly considered “golden” to investors, the area must be between 400sq.m to 1,000sq.m, if not more as it needs to be used for the construction of office buildings, high end apartments or commercial complexes. Two years ago, experts warned about the shortage of apartments and offices for lease in the central city of Da Nang, and now they are talking about the oversupply of apartments and offices. 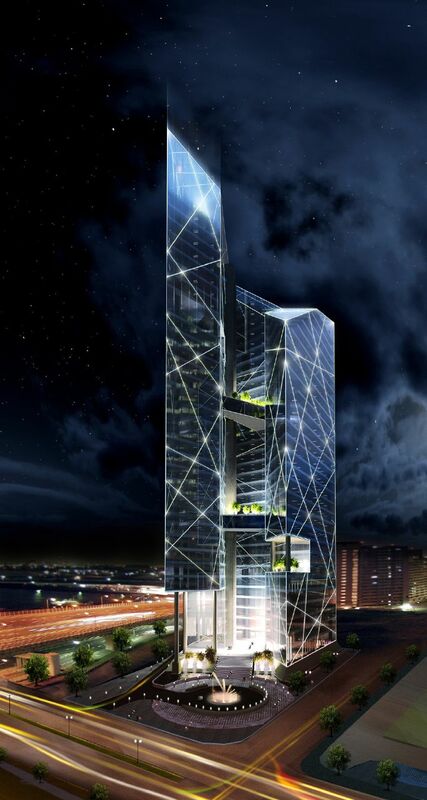 The investor of Indochina Riverside Tower announced that 100% of its apartments have been sold, while 50% of office spaces for lease are occupied. 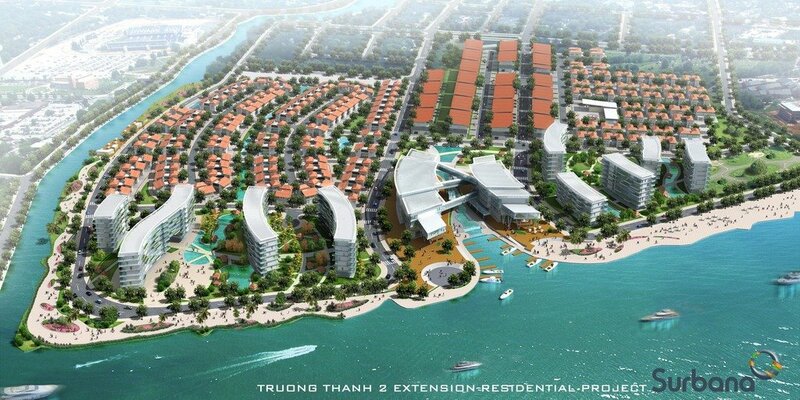 This proves to be good news for a newly emerging real estate market like Da Nang. However, not all investors have obtained such satisfactory results as Indochina, the investor of Indochina Riverside Tower. 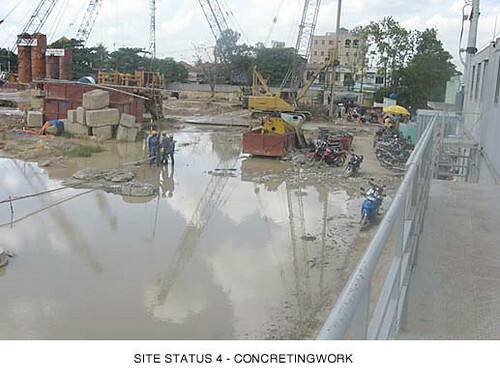 Indochina kicked off construction in mid 2006, when construction material prices were at low levels. The investor has a lot of advantages in accessing clients as it was a pioneer project in terms of grade-A apartment and office leasing in the central city. Other investors, who have been rushing to inject money in real estate projects since experts warned about the apartment and office shortage, may be not as lucky as Indochina. It is expected that a series of apartment and office buildings will be put into operation in some more years, which may cause oversupply in the nearly emerging market. 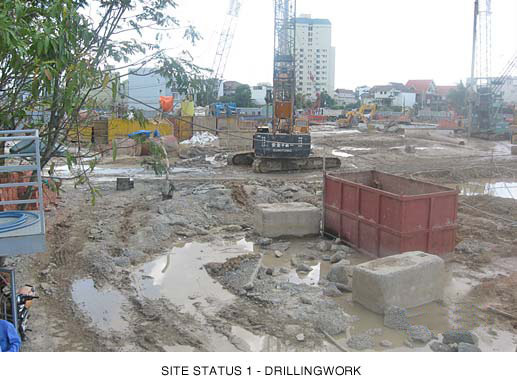 According to the Da Nang Investment Promotion Centre, few apartment and office projects were implemented in 2006, including Indochina Riverside ($27mil), Vinh Trung Plaza ($20mil), Hoang Anh Gia Lai ($150mil) and Savico (VND30bil). Meanwhile, a lot of projects have been kicked off recently, including Deawon Catavil ($300mil), VinaCapital Square ($325mil), Vien Dong Meridian ($180mil), Vu Chau Long ($125mil), True Friends Park ($90mil), Vegas Hotel & Villas ($100mil). The Da Nang real estate market, a newly emerging and less attractive commercial hub than Hanoi and HCM City, proves to be a small cake, with not enough slices for every investor. Marc Townsend, General Director of CB Richard Ellis, the real estate consultancy and asset management firm, said in a meeting introducing a luxury apartment project it managed in Da Nang that Da Nang would become a strategic destination in the near future after Vietnam officially joined the WTO. Da Nang is the central point of three big cultural heritages, Hue ancient capital, Hoi An ancient town and My Son Relics. He said Da Nang would also attract people because Da Nang beach has been ranked by Forbes as one of the most beautiful beaches on the planet. Moreover, big international golf course projects to become operational in 2008 will also attract international tourists. The targeted clients the investors of apartment and office projects aim at are foreign investors and experts who go to Da Nang to do business, mostly from Japan, South Korea, Macau, Hong Kong and Malaysia. However, the prediction has not come true. Meanwhile, the policy on tightening real estate credit and the increasingly high banking interest rates both have made the number of apartment buyers decrease. At the ground breaking-ceremony for South Korea-invested True Friends Park project held recently in Da Nang, the project’s real estate consultancy officer said that Da Nang now has a lot of offices and apartments for lease, therefore, her job of marketing the products will be very challenging. Sources said that many investors are trying to slow down the construction process if projects are under construction, while others are delaying projects to listen to the news. In the context of the frozen market, these registered projects may possibly become ‘pending for indefinite time’ projects.